Marketers spent $16 billion on location-targeted ads served to mobile devices like smartphones and tablets in 2017. That’s 40% of all mobile ad spending, research firm BIA/Kelsey estimates, and it expects spending on these ads to double by 2021. The data required to serve you any single ad may pass through many companies’ systems in milliseconds—from data broker to ad marketplace to an agency’s custom system. In part, this is just how online advertising works, where massive marketplaces hold ongoing high-speed auctions for ad space. But the fragmentation also is due to a very real fear of the public backlash and legal liability that might occur if there were a breach. Imagine the Equifax breach, except instead of your Social Security number, it’s everywhere you’ve been, including your home, your workplace and your children’s schools. The fix, at least for now, is that with most individual data vendors holding only parts of your data, your complete, identifiable profile is never all in one place. Giants like Google and Facebook , who do have all your data in one place, say they are diligent about throwing away or not gathering what they don’t need, and eliminating personally identifying information from the remainder. Yet as the industry and the ways to track us expand, the possibility that our whereabouts will be exposed multiplies. If you’ve ever felt clever because an app on your phone asked to track your location and you said no, this should make you feel a little less smug: There are plenty of ways to track you without getting your permission. Some of the most intrusive are the easiest to implement. Your telco knows where you are at all times, because it knows which cell towers your phone is near. In the U.S., how much data service-providers sell is up to them. Another way you can be tracked without your knowing it is through any open Wi-Fi hot spot you might pass. If your phone’s Wi-Fi is on, you’re constantly broadcasting a unique MAC address and a history of past Wi-Fi connections. Retailers sometimes use these addresses to identify repeat customers, and they can also use them to track you as you go from one of their stores to another. 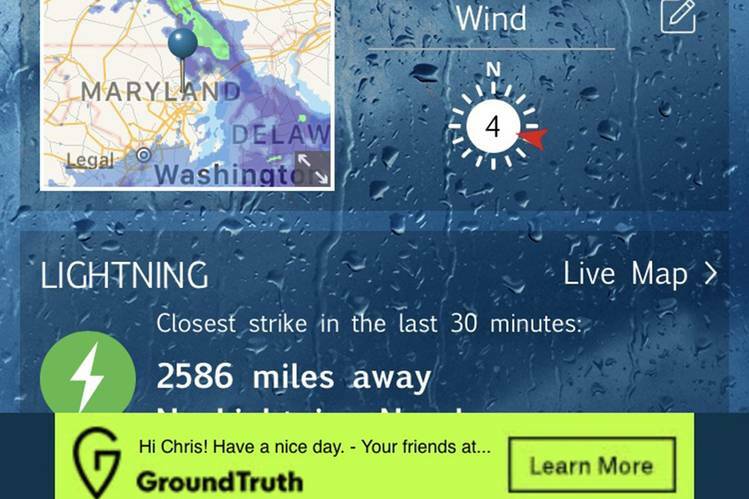 WeatherBug, one of the most popular weather apps for Android and iPhone, is owned by the location advertising company GroundTruth. It’s a natural fit: Weather apps need to know where you are and provide value in exchange for that information. But it also means that app is gathering data on your location any time the app is open—and even when it isn’t, if you agreed to always let it track your location. That data is resold to others. 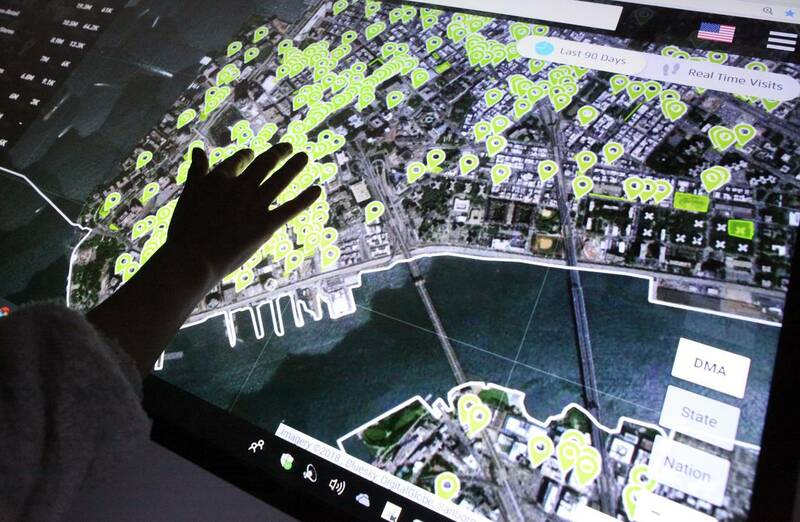 GroundTruth also gathers location data from “over a hundred thousand” other apps that have integrated bits of its code, says company president Serge Matta, who declined to disclose which apps. 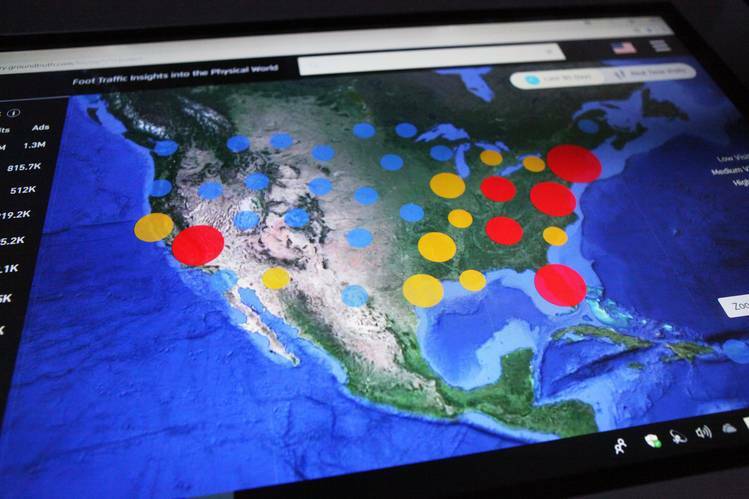 App makers agree to harvest location data because it grants them access to GroundTruth’s mobile advertising network. 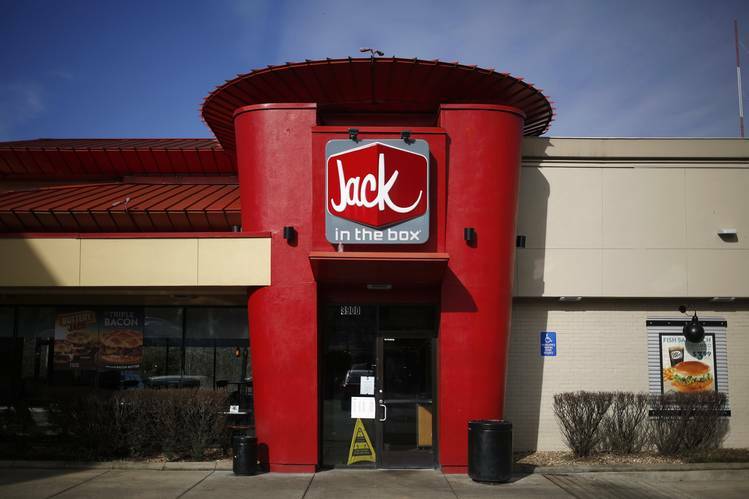 Companies like GroundTruth try to ensure they aren’t tracking or storing data on individuals. Most of what they sell are anonymous blobs of people who fit particular descriptions—“soccer moms who intend to buy an SUV,” for example. But they also occasionally hand off location data to a third party, such as LiveRamp, owned by data broker Acxiom , before it’s matched up with potentially personally identifying information, such as your complete shopping history at a retailer. LiveRamp is almost like an escrow company for data. Companies like Acxiom could be prime targets for hackers, said Chandler Givens, chief executive of TrackOff, which develops software to protect user identity and personal information. LiveRamp goes to great lengths to mathematically obfuscate our individual identities, said Sheila Colclasure, chief data ethics officer at LiveRamp and Acxiom. But some security researchers fear data brokers like Acxiom may be compromised already, or could be someday. Acxiom and LiveRamp in the U.S. are governed by federal and state laws that regulate the collection and use of data in the particular businesses their clients are involved in, Ms. Colclasure said. Nearly every year, a bill comes up in the Senate or House that would regulate our data privacy—the most recent was in the wake of the Equifax breach—but none has passed. In some respects, the U.S. appears to be moving backward on privacy protections.